Fostering dogs saves two lives. The one in your home, and the one who takes his place in the shelter! Please join us and fill out an online foster application. Fostering is a wonderful way to have a dog without all the expense. We furnish all vetting, medicines, monthly heartworm and flea preventatives. We would love to have you join us. We have bi-monthly adoption events. We ask that you come with your foster dog at least one a month. We also ask that you keep your foster dog’s information current with updated bios and pictures. Some of our dogs are completely potty/kennel trained and some are not, or need refresher courses. Remember these dogs come off the streets or from high kill shelters. 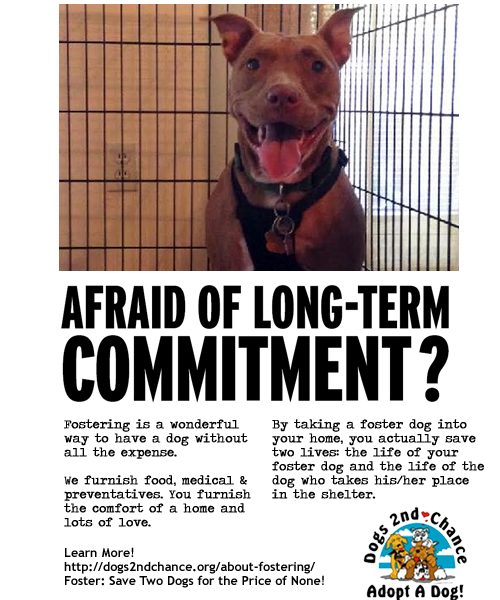 Fostering helps a rescued dog become more adoptable and find a loving, permanent home. 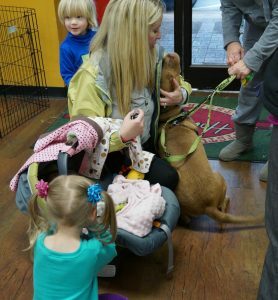 Foster parents teach basic commands and potty training along with socialization. The foster family is the bridge from rags to riches.